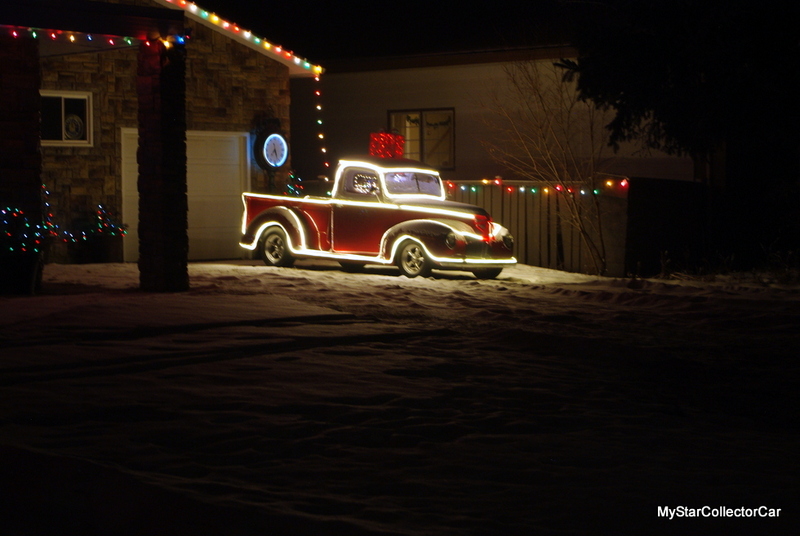 There is a brief period of time in childhood when every young car guy is a big fan of Santa Claus and his extraordinary generosity during the Christmas season. 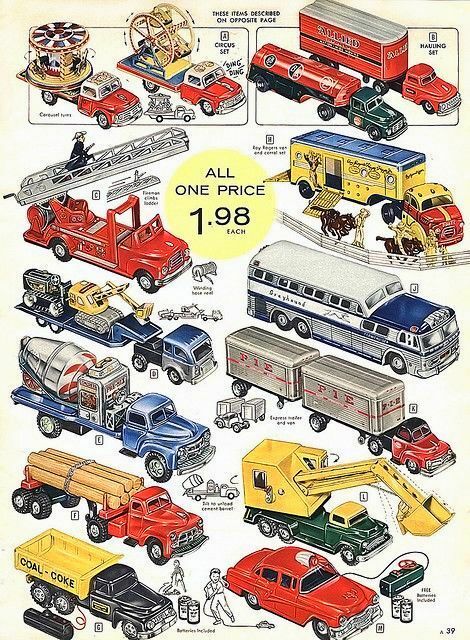 The toy pages of a Christmas catalog got pretty tattered before the big day because some tough choices had to be made by car kids back in the day. 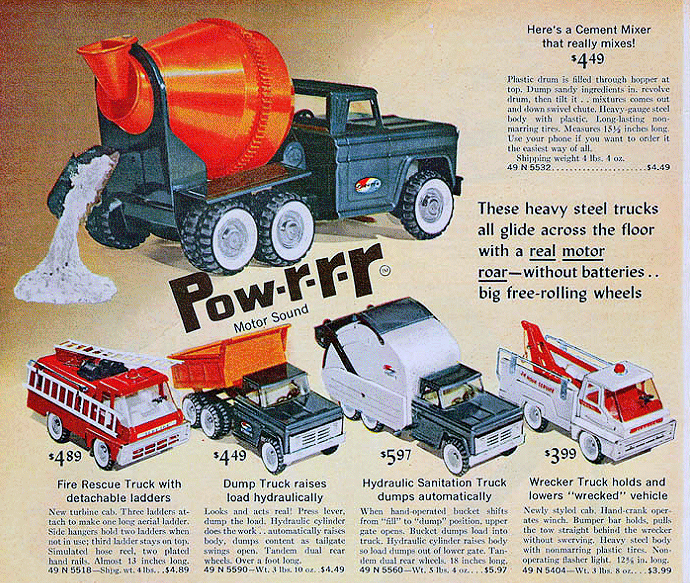 The overall choice was pretty easy: every car kid wanted something with wheels. The early childhood choices were typically large-and-in-charge vehicles that were designed to be king of the sand box. 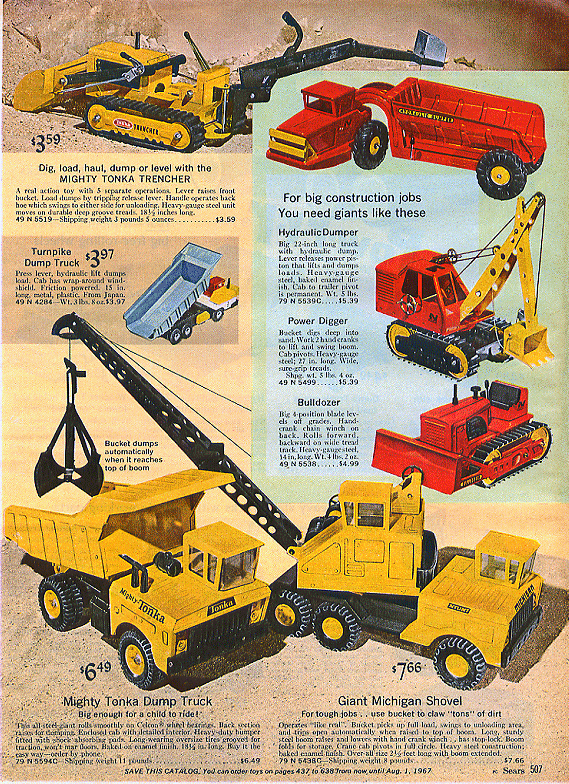 The toys were likely construction vehicles like dump trucks that could be filled by an ambitious kid with a play shovel and an active imagination. The entire sand box resembled a miniature construction zone and held many toy vehicles that were likely found under a Christmas tree at some point in the kid’s past. While none of these vehicles were propelled by anything except a kid’s creativity, some toys that were built during a bygone era had a simple form of self-propulsion: friction. These toys were propelled by a simple motor that had a series of gears and a flywheel designed to move forward when a car kid pushed the rear wheels along a floor. The resultant spin motion of the large flywheel provided the self-propulsion for the toy vehicle. The toys moved forward in a straight line until the flywheel lost momentum and stopped spinning the rear wheels of the little car or truck. 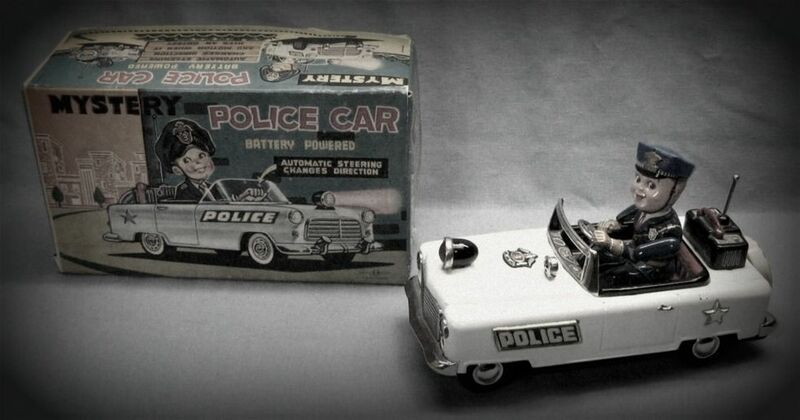 The game got even more sophisticated when battery-powered toy vehicles sent juice to a small electric motor and propelled the small vehicle when it was switched from off to on. The toys could go much farther than a friction toy, although both could only run in a straight line. The problem was solved when more sophisticated toy vehicles became remote-controlled and offered this feature to its lucky young owners. 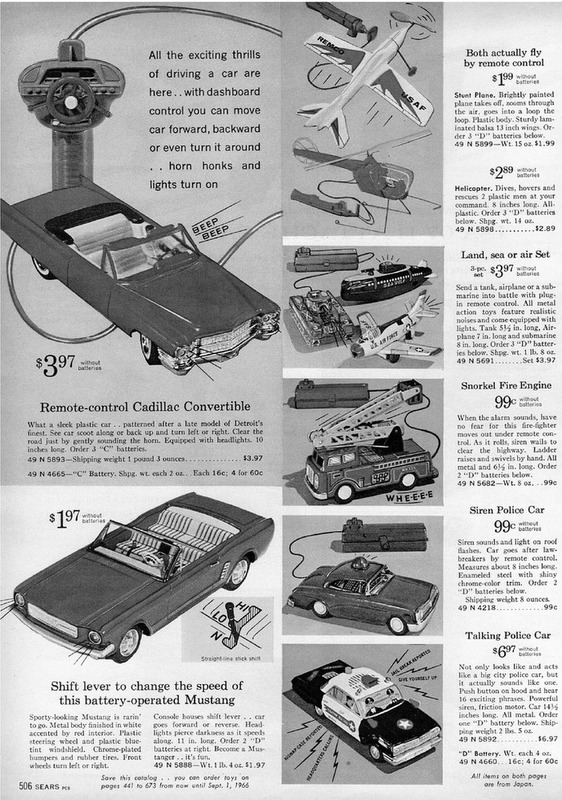 For the record, the early versions of remote control toy vehicles from a bygone era were tethered by wires to a cord that steered the car and provided power to the tiny electric motors in the toys. 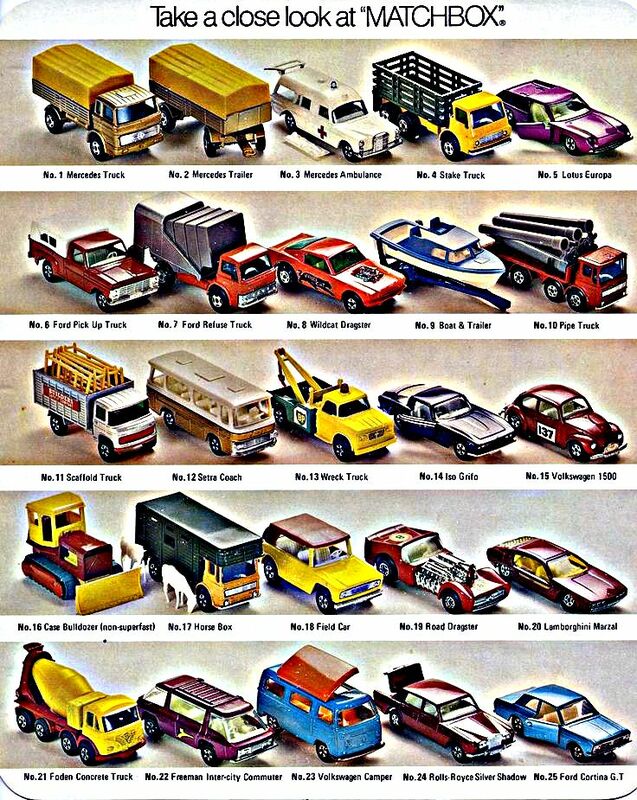 Nevertheless, remote control vehicles from a bygone era were a huge hit with kids at Christmas. 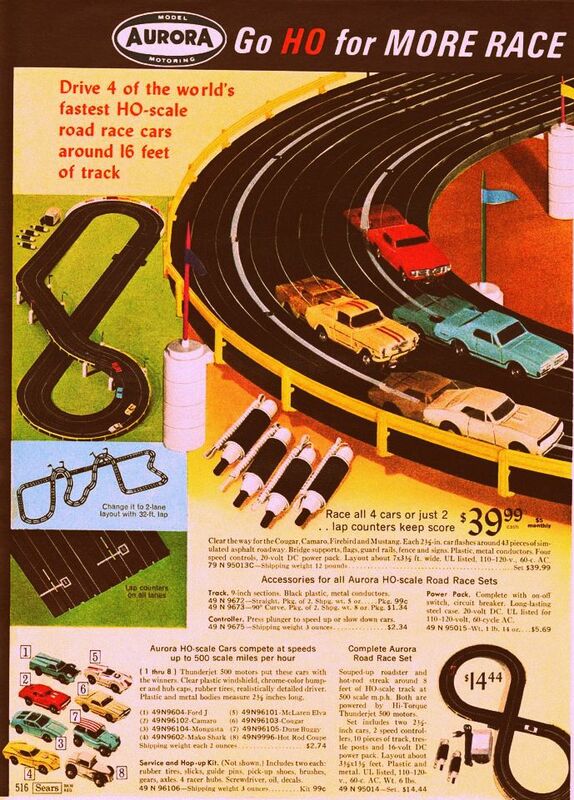 They were a car kid’s first taste of driving freedom- even on a toy scale. 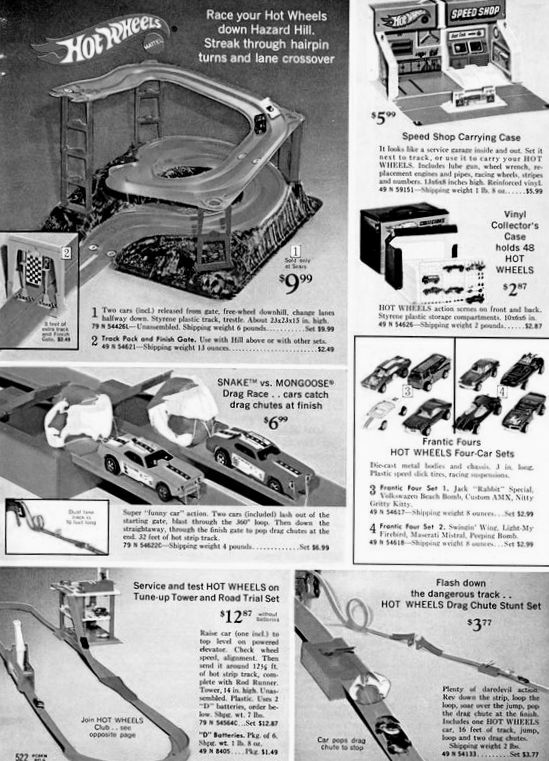 Another way for car kids to dabble in the electric toy vehicle world was a slot car track as a Christmas gift. These small vehicles were restricted to a race track and carried an electric current from a transformer that was delivered by hand controls and controlled by a kid who squeezed the trigger for more speed. The slot cars stayed in the track’s groove until an overzealous kid pushed down on the control trigger too far in a corner and caused the car to fly off the track. This circumstance was a car kid’s first encounter with a very unwise approach to high speed consequences-albeit without first responder and lawyer involvement. 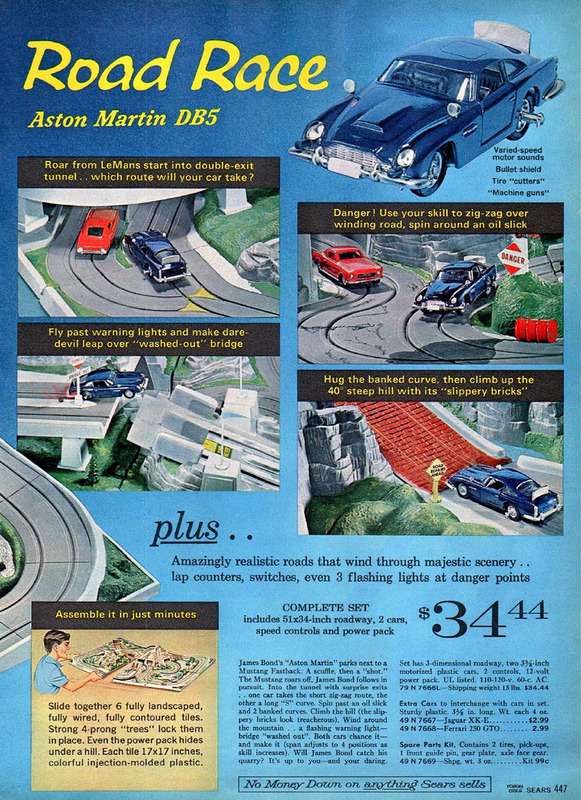 The wheel eventually took a full turn for young car guys when Hot Wheels introduced a vast array of cars that only required gravity to hurtle down a track. 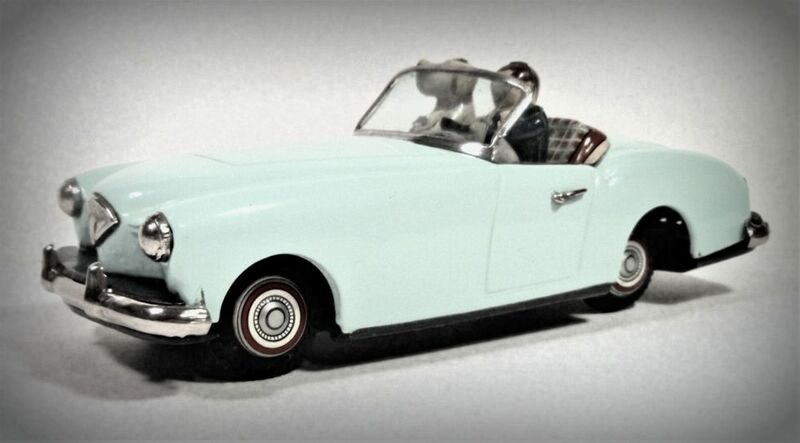 These cool little custom rides were every car kid’s Christmas dream gift from Santa during a bygone era and were even a hot item as a stocking stuffer in some cases. 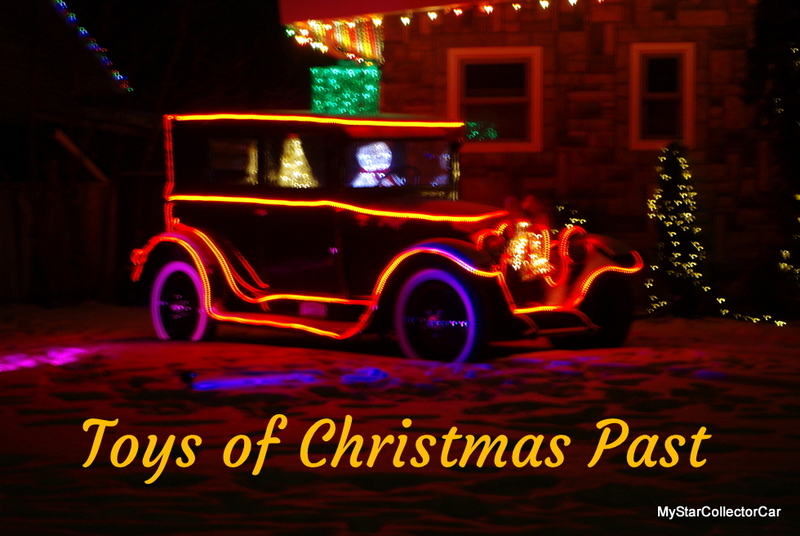 The magic of Christmas was always a fundamental part of every car guy’s Christmas when they were car kids. Unfortunately Santa does not carry his car guy gifts in full-sized versions because they don’t fit under a Christmas tree. Instead Mr. Claus is more likely to bring mechanic’s tools on his sled because of storage issues. 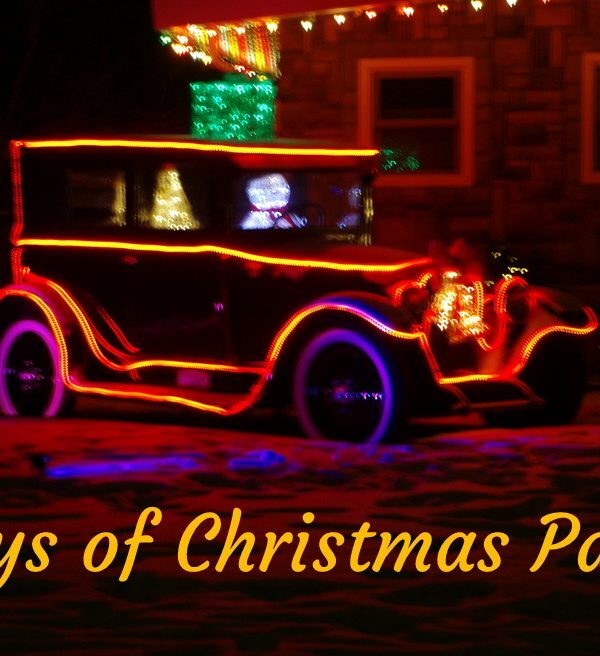 Santa also refuses to deliver the gift of an understanding spouse who loves old vehicles because that circumstance would take a Christmas miracle in most cases. Jim Sutherland is a veteran automotive writer whose work has been published by many major print and online publications. The list includes Calgary Herald, The Truth About Cars, Red Deer Advocate, RPM Magazine, Edmonton Journal, Montreal Gazette, Windsor Star, Vancouver Province, and Post Media Wheels Section.